There was only one way to find out, and the answer was: YES! Hooray for suggestions from daughters! MF: My daughter and I are curious: how do you come up with the ideas for your stories? WM: Basically I keep my eyes open for a topic that interests me (synesthesia, astronomy, candy! ), and then I figure if I find it fun to learn about, then others will, too. Then I build a story around the theme, with characters that wind up leading me through the book. MF: Who or what inspires you to write? WM: Writing was just a natural progression from reading for me. At some point as a kid I decided to try writing my own stories, and then just never stopped. Now I think it’s the readers who inspire me to keep writing. 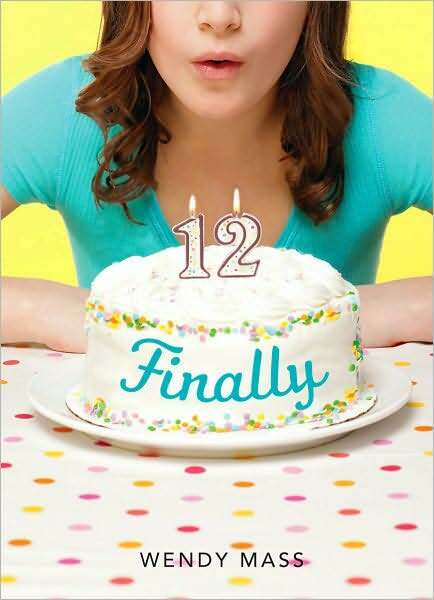 MF: Your most recent book, Finally, is a sequel, of sorts, to 11 Birthdays. Is there any particular reason you put Rory and her story in the same world/place as Leo and Amanda? WM: Writing 11 Birthdays was so much fun that I didn’t want to let the world of Willow Falls end. But I also didn’t want to write a straight sequel, so FINALLY became a “companion” to 11 Birthdays, with some overlapping characters. MF: How did you come up with the plot for the book? Did it evolve out of 11 Birthdays at all? WM: I knew each of the “Willow Falls” books would focus on a girl’s birthday, and 12 is such a special age. Right on the cusp of being a teen, but still feeling like a kid a lot of the time. I wanted to focus on not only the big “coming of age” events that most girls go through, but some of the smaller ones, too, like getting a key to the house, sitting in the front seat of the car, getting pierced ears. But then I thought it would be fun to have all the things Rory was looking forward to go differently than she’d expected. MF: Is there anything you hope your readers take away from Finally? (Or any of your books, for that matter.) WM: I think most kids are in a big hurry to grow up, and if there’s any message in Finally, it’s about taking your time and not rushing. To do things when you’re ready for them, not when a date on the calendar tells you to be. MF: I know it’s like picking a favorite child, but which of your books is your favorite or means the most to you? WM: A Mango-Shaped Space was my first, so that one holds a special place in my heart. I learned the most while writing Jeremy Fink and the Meaning of Life, and ate the most candy while writing the upcoming book The Candymakers. WM: Sometimes I have no idea how the books get written. Juggling family and writing and traveling for school visits is really hard. I recently started renting an office in town, and that has helped a lot. Just having someplace to go where I can focus (with no internet access or Dora the Explorer! ), has made it easier to buckle down and focus. I also do a lot of “writing” in my head, so when I get to sit in front of the computer I’ve worked a lot of it out already. MF: Are there five books you think everyone should read? 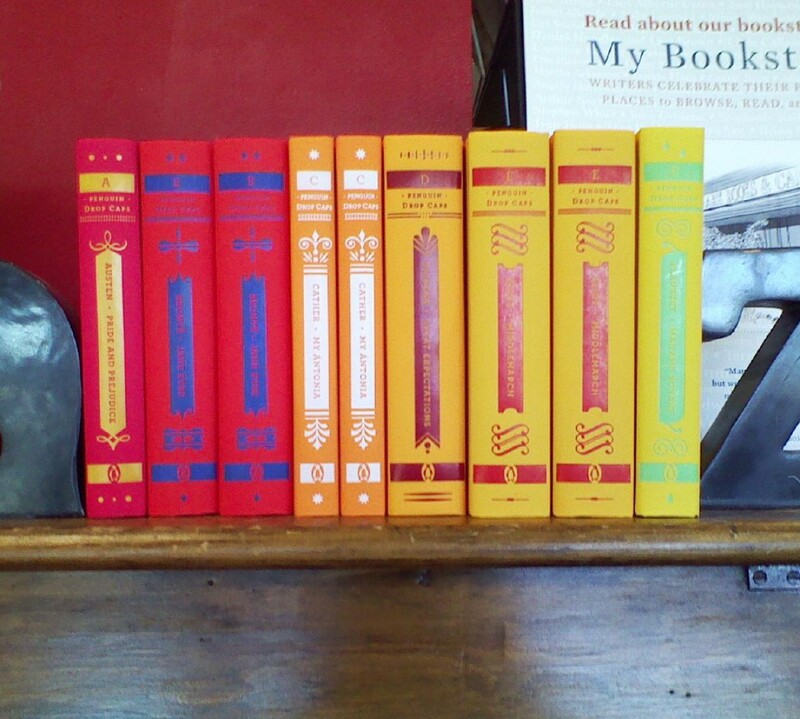 WM: Everyone’s taste is so different, and we all take different things away from each book. But I can tell you the five books that I read growing up that had the biggest impact on me. The Lion, the Witch, and the Wardrobe was the first book that I sought out on my own in my elementary school library. The Time Garden by Edward Eager was the first one that I searched the country to find on every family trip for years (this was when finding a book actually required going to a bookstore and pulling books from the shelves!) I’ll never forget finding it in a Waldenbooks in the middle of nowhere, and clutching it to my chest with pure glee. Charlotte’s Web was the first to make me cry, and Harriet the Spy made me a very sneaky kid! Allegra Maud Goldman by Edith Konecky showed me how serious themes can be hidden in really funny books and made me want to be a writer. MF: So, if you don’t mind telling us, what can we look forward to from you next? MF: I can’t wait for all of those; something to look forward to, at least.Thanks for your time, Wendy! 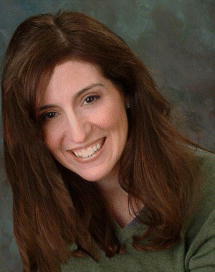 You can find more about Wendy and her books at her website. Ack! It seems like blogger lost my first one (probably right until I post the second comment). All I said was that I was hoping you'd ask if she had synesthesia. 😀 That and Morrigan loves her books, has read Mango and The Candymakers, which I got as an ARC at BEA. I love the Willow Falls series so much and I really think they would make great movies. I didn’t want the Willow Falls series to end!!! I love Graceful, but my favorite book out of the series is The Last Present. These books would make awesome movies and you HAVE to recommend them for movies!! The Willow Falls series is my all time favorite series!!!!!!!! I really hope I will see them in theatres soon. Great interview! 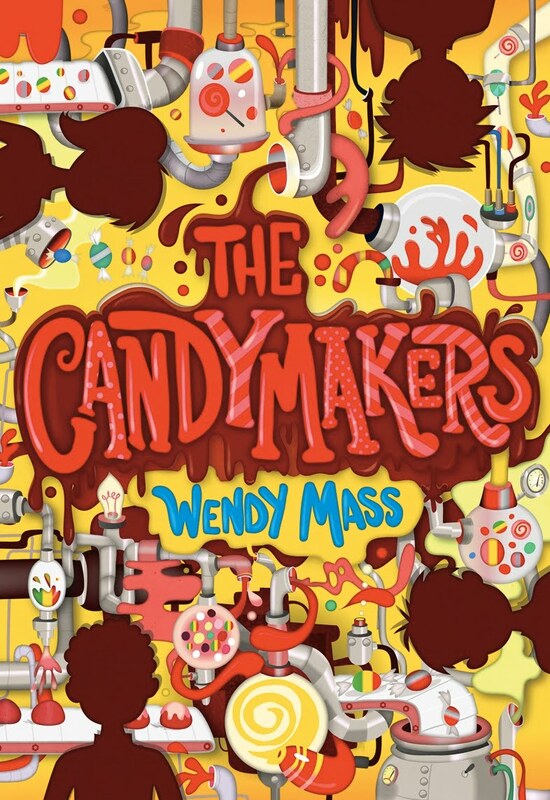 I picked up a copy of Candymakers at BEA. I'm looking forward to reading it! I love the Willow Falls series so much that they have to be movies!!!! I love your new book Graceful and my favorite is The Last Present. I really didn’t want the series to end!!!! I am your number 1 Willow Falls fan!!!!! I really hope to see the Willow Falls series as movies in theatres!!!!!!! They are the best!!!!! I really love the wilow falls series so much and whenever I read it makes me impossible to stop reading from it.I really wish that the willow falls series will not end and it be perfect for a movie.My favourite from the willow falls series was The Last Present and 11 Birthdays. I love your books The candymakers, The candymakers and the great chocolate chase and I also love 11 birthdays. I think that it is so cool that Leo and Amanda get t have “11 birthdays”!! You write the best books!